According to the National Institute of Health, an estimated 30 million people in the United States have diabetes. Of these, the Institute estimates that 25% are not aware they have the disease. Further, an estimated 84 million people 18 years and older have pre-diabetes symptoms. Without intervention and corrective measures, many of these individuals will ultimately become diabetics. Diabetes can be serious, and at Dr. D’s we work hard to make sure every patient that visits our clinic understands diabetes risks and symptoms. We offer a complete program of consultation, diagnosis, and treatment for all diabetes patients. Early signs of diabetes include hunger and fatigue, urinating more often than average, itchy skin, blurred vision, and dry mouth. If you suffer from any of these symptoms, please come by Dr. D’s for a consultation. Early diagnosis and treatment of diabetes are important. With diabetes, glucose levels build in the body and can cause damage to internal organs such as your kidneys, heart, nervous system, and eyes. In fact, this damage can occur before other more noticeable symptoms appear. 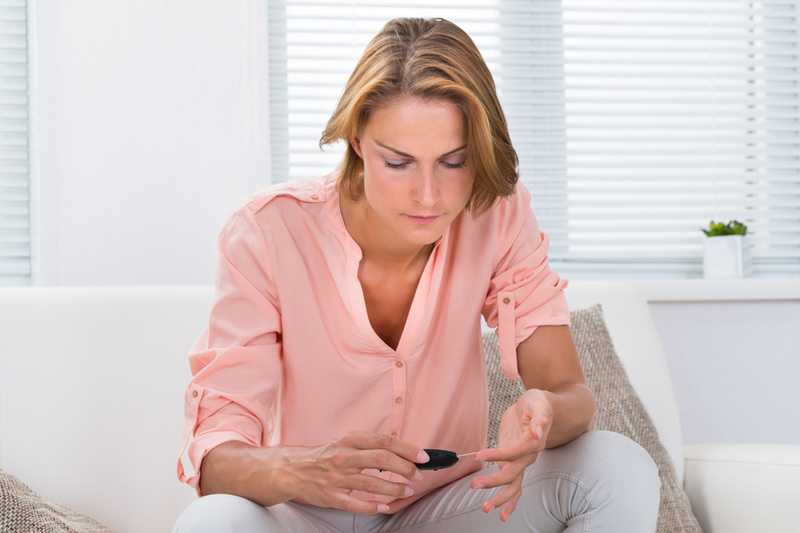 There are three major types of diabetes: type 1, type 2, and gestational. Individuals with type 1 diabetes are not able to produce insulin, necessary for converting food to energy. Without treatment, type 1 diabetes sufferers may experience damage to the eyes, nerves, or kidneys. Individuals with type 2 diabetes also may suffer damage to the eyes, nerves, and kidneys plus may be more likely to suffer heart attacks or strokes. Type 2 diabetes is the most common type of diabetes accounting for about 95% of all diabetes sufferers. The third type of diabetes, gestational diabetes, occurs during pregnancy and, if not diagnosed and treated, can adversely affect the development and well-being of the fetus. In all cases, it is essential to correctly diagnose diabetes and develop a long-term treatment and management plan. The doctors at Dr. D’s Urgent Care Clinic can answer your questions about diabetes, conduct a thorough physical exam, and prescribe a treatment plan should that be appropriate. If you have any of the symptoms listed above or suspect you may have diabetes, stop by one of our two locations to visit with a physician. Talk to a doctor at Dr. D’s for complete information and peace of mind. We are conveniently located, and our staff is eager to answer your questions. Call for information, 832-447-7880.